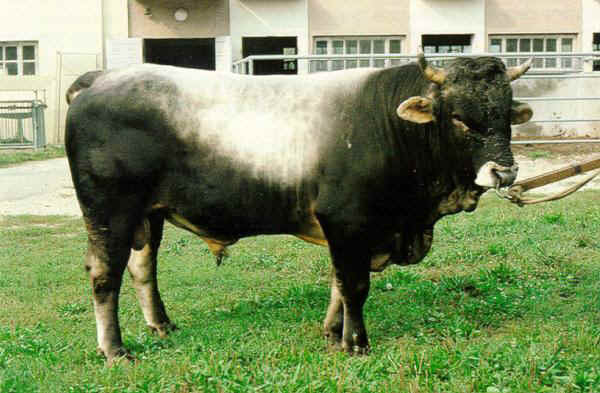 Breeding of the Grey Alpine/Grauvieh in Italy is traditionally widespread in Alto Adige and in the Dolomite valleys of Trentino and Bellunese. In the last few years new breeding centres have emerged even outside this area, such as in the provinces of Udine, Como, Torino and Campobasso. Of the estimated 25,000 head of cattle about 16,000 are registered in the Herd Book. The National Association of Breeders of Grey Alpine cattle - A.N.A. GREY ALPINE - was founded on 19 June 1980 (www.grigioalpina.it). This breed represents the link between the mountain environment and its resources on one hand and a quality product on the other. The animals are of medium size and weight and have a correct locomotor apparatus with very strong hooves. 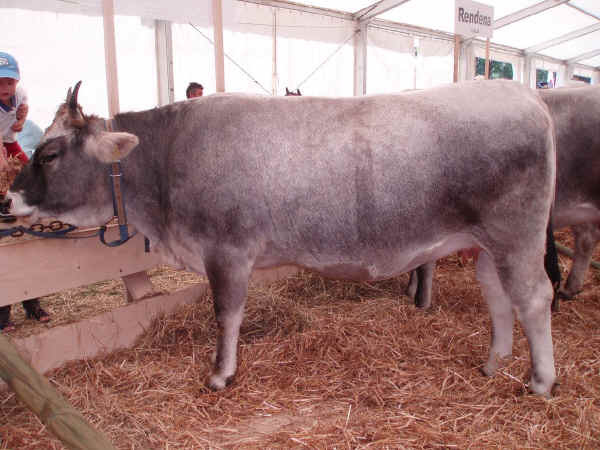 The Grey Alpine is a typical breed of mountain cattle that gives excellent production of milk and meat. They are rustic, frugal, have a strong instinct for finding their own food, and are able to convert even coarse vegetation efficiently. The Grey Alpine is a breed with long life expectancy and excellent fertility. Milk - The quality of milk produced by the Grey Alpine Breed makes it suitable both for transformation into cheese and for direct consumption. Functional checks carried out in 2007 gave an average production of 5,150 kg of milk with 3.72% fat and 3.36% of protein. This production should be regarded as decidedly good, taking account of the medium size and weight of the animals and of the non-intensive breeding farm conditions. Meat - The Grey Alpine has good "weight gaining" qualities. This is especially marked among medium-to-heavy bullocks, which have an average daily gain of about 1,200 g, very good carcass shape characteristics, production on slaughter of around 58% and excellent meat quality.